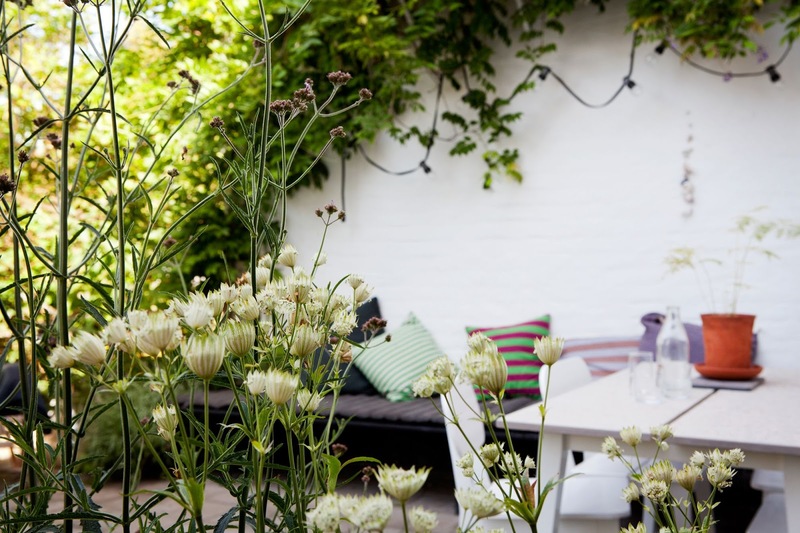 I do love discovering a home from here in Skåne. 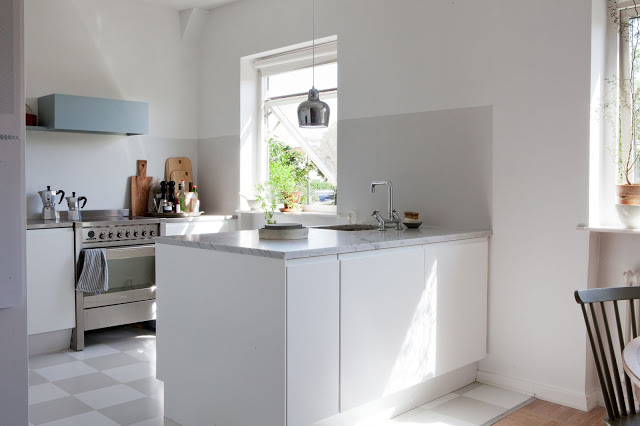 And this particular house (for sale through Bo-laget) resonates with me as my family and I looked around one of these fab Friluftstaden houses a few years ago. 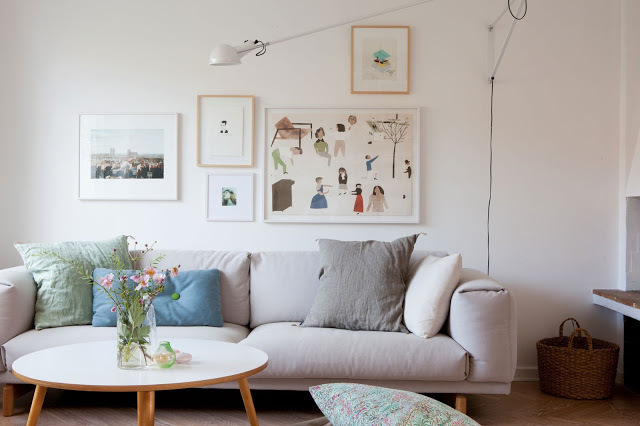 I I love the way they have decorated the house with light wood, modern Danish design pieces from Hay and Muuto as well as the odd classic and chosen a beautiful soft milky colour palette throughout. What a stunning space, I wonder who it belongs to? 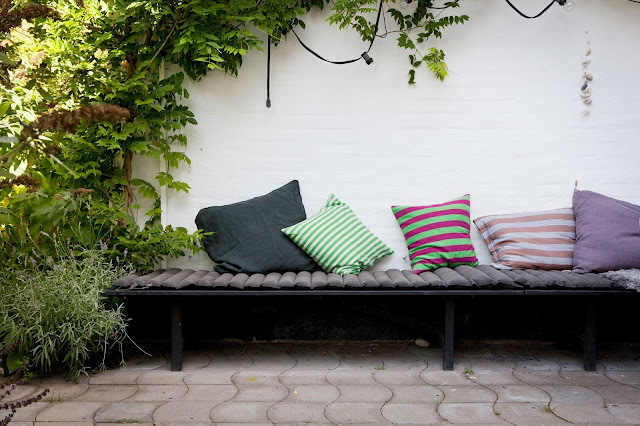 It reminds me a little of my neighbour from All The Way To Paris' home which was on the market last year (also the location for this Muuto shoot (last picture only), don't you think? Quick, someone snap up this beautiful home! Oh, what a nice home. 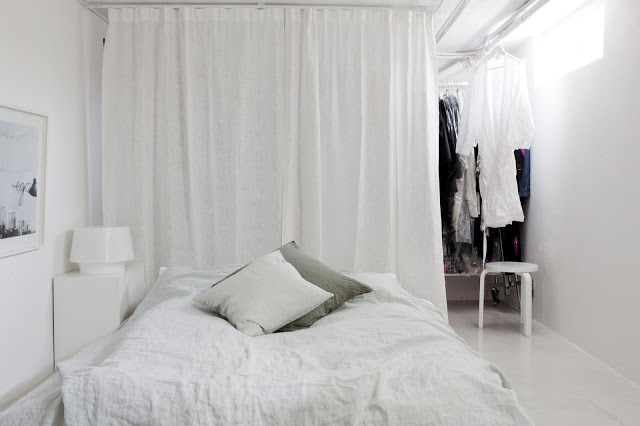 It looks so airy and fresh yet it still has a homey and liveable feel. The bookcase next to the stair is so cool. waw. I love everything about this space. So beautiful! 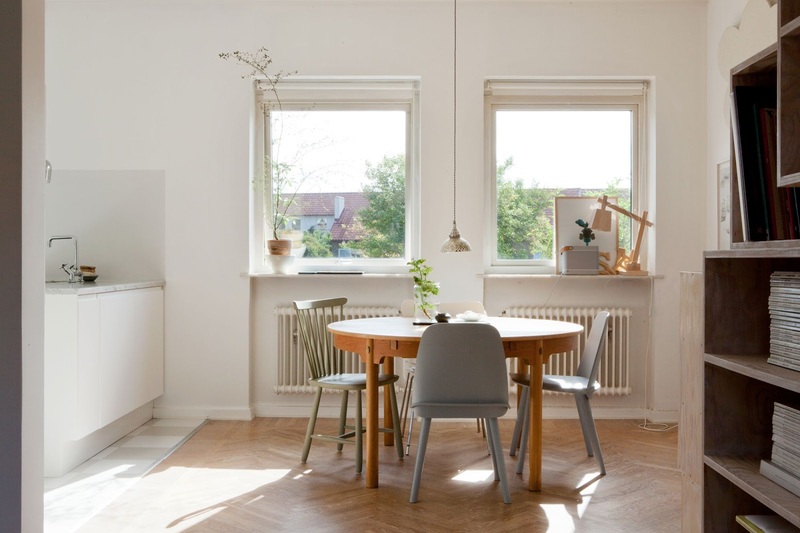 I know that in Malmö are beautiful houses. This one is absolutely stunning. 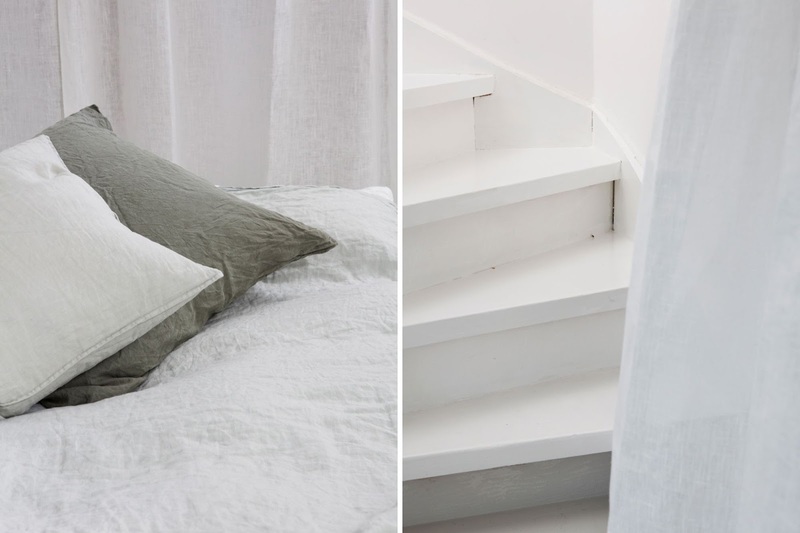 I love stairs and the bedroom, this room is so calm and airy. Danish decorating pieces are so beautiful. Thank you for sharing! Beautiful place, such a nice colors and details. How lovely. I live in Helsinki in the design quarter so I am surrounded by exquisite scandinavian design. 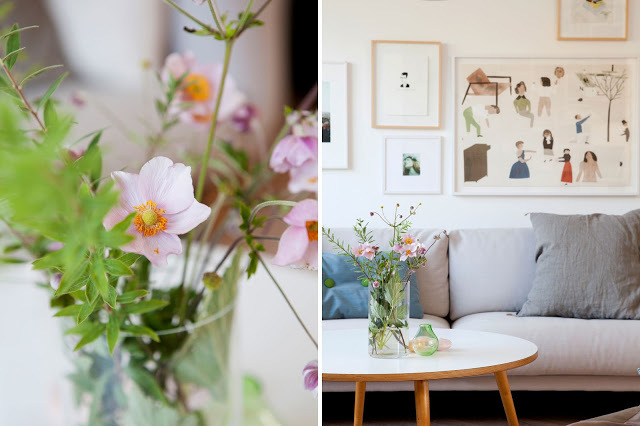 I love blogs like yours with exquisite settings in real homes. The lamp is the Artek Ceiling lamp A330S, also known as the 'Golden Bell' (designed by Alvar Aalto). This home feels so nice, really a home to live in! 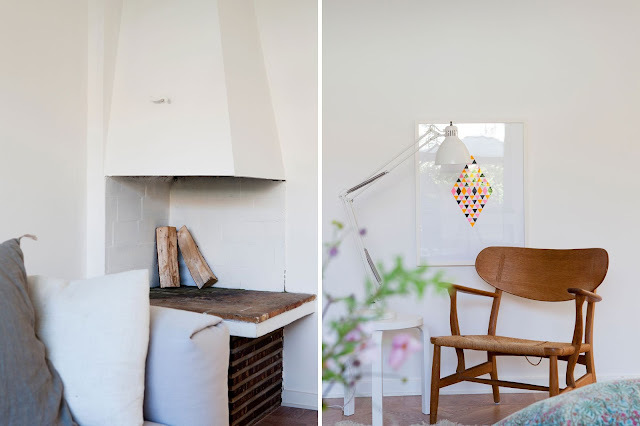 can someone tell me who makes that neon diamond print on the wall? Get some decorators caulk in between those stairs!